The T&S Brass B-3952 waste valve has a twist close handle. The handle is 121⁄4-inches long and features a heat-resistant plastic grip. The waste valve covers a 31⁄2-inch opening and has a strainer that pops out for easy cleaning. 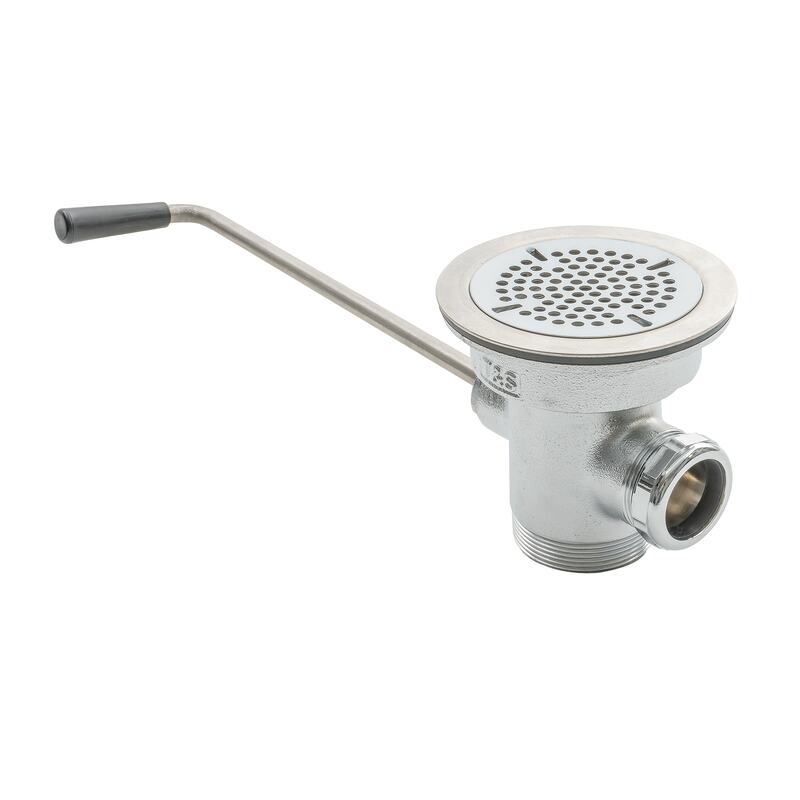 The T&S Brass B-3952 waste valve also includes an overflow outlet to attach an overflow assembly to but comes with an overflow cap and sealing washer in case an overflow outlet is not needed. "just what I needed to keep my customer Happy"
"Fast delivery. Nice product. Would get again"